Today . . . the idea of development stands like a ruin in the intellectual landscape. Delusion and disappointment, failures and crimes have been the steady companions of development and they tell a common story: it did not work. Moreover, the historical conditions which catapulted the idea into prominence have vanished: development has become outdated. But above all, the hopes and desires which made the idea fly, are now exhausted: development has grown obsolete . . . It is time to dismantle this mental structure . . . [and] bid farewell to the defunct idea in order to clear our minds for fresh discoveries. In this two-part essay, I review some of the most important contributions that have been made over the past twenty years to this expanding field of historical scholarship. In part 1, I examine what might be termed the “first wave” of writing the history of development that emerged in the 1990s during the neoliberal moment. Poststructuralist analysts were the first to set out a genealogical framework, viewing development as a discursive regime formally inaugurated by the United States in 1949, when the “discovery” of mass poverty in the Third World came to preoccupy Western policy makers and political elites. Following on the heels of postdevelopment writers, scholars in the field of U.S. diplomatic history also began to investigate the history of modernization. As they have shown, the offer of technical and financial assistance as part of a “new deal” for the underdeveloped areas of the world was invariably tied to the U.S.-led campaign to counteract communist influence in these regions during the Cold War. In part 2, I examine some of the more recent contributions that have presented an increasingly more nuanced picture of development. The postwar periodization of development, for example, has been criticized by historians who challenge the conventional starting date by calling attention to the continuities between late colonialism and contemporary development policies and practices. Others have sought to examine local development encounters and specific projects as they played out on the ground. More recently, some researchers have also begun to move away from the predominantly American-centered framework of earlier studies and to conceive of modernization as a global project. The next step, I contend, is to create a truly global and transnational history of development, one that brings together the literature on late colonialism and decolonization with the new international history of the Cold War, and that offers a more diverse, refined, and historically-informed reading of international development. It seems relevant to begin with a bit of personal background, for I suspect my own trajectory may be fairly common. I began my academic career at the Centre for International Development Studies, University of Guelph, when I enrolled in a newly established master’s program in 1990. When I began the program I was brimming with enthusiasm, optimistic that I could make a difference in the world pursuing a hands-on career working with the poor in less-developed countries. Three years later, I was not so sure. We were introduced to a variety of multidisciplinary theories, concepts, and models, everything from modernization theory to models that helped you analyze how technologies are diffused and adapted to new cultural settings to using video as a participatory tool for community development. But above all, I remember learning that development was in a state of “crisis.” Development studies, it seemed, had reached an “impasse” signaling, as Colin Leys suggested, that the golden age of development theory had come to a close.4 I graduated from the program feeling disheartened and in serious doubt about pursuing a career where I might cause greater harm than good to the very people I intended to help. It was at this point of uncertainty that I determined to learn more about how this elaborate network of institutions, programs, and practices called “development” had come about in the first place. How had we gotten to this point of apparent paralysis and intellectual impasse? I decided to look back in the hope of finding a way forward. On the road to development’s past, I soon discovered, there were many fellow travelers, who had had experiences similar to mine and who had come to similar conclusions. The disappointing track record of postwar economic planning and social engineering, coupled with the demise of the Cold War imperatives, had by the late 1980s and 1990s placed the very idea of intentional development into serious question. To many analysts it seemed the time had come to reassess the statist-developmental project, not only critically but historically. To be fair, I should acknowledge some important, earlier efforts by scholars interested in tracing the origins and impact of development ideas and development studies. As far back as 1969, the conservative sociologist Robert Nisbet offered a critique of what he termed the fundamental concepts of developmentalism. He explored the way theories of social change—from the Greek concept of physis to the modern idea of progress to the central premises behind twentieth-century functionalism—were imbued with the biological metaphor of growth and the evolutionary life-cycle of organisms.13 For Nisbet, the idea that society and history progressed in a cumulative, directional, and irreversible manner, such as through the gradual realization of some latent potential or through a stage-by-stage process of succession, flew in the face of actual history, which was messy, unpredictable, and filled with conflict caused by exogenous factors. If Nisbet can be credited with pioneering the history of ideas about social development, much the same could be said of Albert Hirschman’s and H.W. Arndt’s investigations of economic development. Arndt was the first economist to trace in some detail the history of thought about economic development, not only in academic writing but as an objective of state policy.14 Although not as searching or as philosophical as Nisbet, Arndt finds the origins or “prehistory” of such ideas embedded deep within Western civilization. The desire for “material progress,” Arndt suggests, first becomes the object of state policy in Western Europe in the seventeenth and eighteenth centuries, spreading thereafter to other regions as part of “reactive” nationalist ideologies. Hirschman, who is credited as one of the pioneers of development economics, also expressed an interest in the history of economic ideas and the conditions under which his field of study emerged.15 His criticism of comprehensive planning and the predilection of early development economists for “balanced” or “big push” industrialization earned Hirschman a reputation for being, as he put it, “a demurrer within,” while his concept of “backward linkage” has been widely applied in various historical studies of economic development.16 But what is most relevant for my purposes is Hirschman’s recognition that development economics as a subdiscipline arose at a unique conjunctural moment, when the Keynesian revolution of the 1930s along with the success of the Marshall Plan in Western Europe after the war encouraged a group of economists to view the poorer regions or “underdeveloped areas” of the world as economically and structurally set apart from the advanced industrial nations. A different kind of economic analysis was thus required, one designed to overcome the distinctive problems of rural underemployment and late industrialization through public investment planning. Arndt also sees the post-1945 years as marking a new phase during which, after a hiatus of nearly a century, economists such as Kurt Mandelbaum, Paul Rosenstein-Rodan, W. Arthur Lewis, Ragnar Nurske, Raúl Prebish, Gunnar Myrdal, and Hans Singer among others returned to the classic problem of economic growth and in the process produced the seminal works, theories, and official reports of modern development economics.17 The ascendancy of development economics, however, was relatively short lived. By the 1970s, Hirschman had sensed an increasing level of self-doubt and decline within the field as the so-called Third World countries became more diverse and differentiated, and as the subdiscipline itself became more highly specialized and fractured. Arndt concurred, observing that by the 1970s the primacy of development economics was rapidly being eroded as the goals of development thinking shifted toward social concerns such as health, education, nutrition, poverty eradication, and the fulfillment of basic needs, and as opponents on both the left and right of the political spectrum began to voice powerful countercritiques. Published a dozen years later and in the midst of growing pessimism over the meaning of development and modernization, Gendzier’s analysis displays a noticeably more critical edge. In contrast to Packenham, Gendzier finds that policy-oriented social science was paramount to forging a U.S. foreign policy consensus.21 She notes that government support for development-related social science research increased substantially from the time of the Eisenhower administration onward. This enabled a select group of academic consultants and specialists, well placed between government agencies and key academic institutions such as the Massachusetts Institute of Technology, to exercise an inordinate degree of influence in shaping both official and academic development discourse. Their views on political development, according to Gendzier, reflected less the realities of Third World politics than the internal biases of political theory that stretched back to the crisis of liberal democracy following the First World War. Their views were also influenced by the domestic climate in the United States during the Cold War, and especially the bitter debate on McCarthyism, which intensified the fear of popular participation and the potential dangers of mass-based movements in the Third World and led many policy-oriented intellectuals to favor the managerial role of political elites in maintaining order and stability. By the early 1990s, the pessimists that Arndt had dismissed no longer appeared so extreme. More radical detractors, who wanted to tear down rather than merely remodel the edifice of development and all of its supports, replaced liberal reformers like Packenham and Gendzier. In the wake of the post–Cold War rupture, there was growing skepticism from all sides of the political spectrum concerning the results of state intervention and the performance of state institutions generally. This skepticism, which made the critical study of development seem so timely, was rooted in the demise of the post–World War II international economic order, which, as Eric Helleiner has noted, began with the U.S. abandonment of the Bretton Woods system of fixed exchange rates in 1971, and the rise in oil prices following the 1973 OPEC oil embargo.26 These events triggered a general downturn in global economic activity that gave rise in the West to high unemployment coupled with unprecedentedly high levels of inflation. For most Third World countries, the collapse of the Bretton Woods system and the subsequent recession of the late 1970s resulted in lower and even negative growth rates.27 Faced with stagnating economies and declining per capita income levels, Third World states increased their overseas borrowing until, by the mid-1980s, most were faced with serious debt servicing and balance of payment problems. The triumph of market fundamentalism, or “neoliberalism,” as it is often labeled, had an equally profound impact on developing countries. Economists including P. T. Bauer, Deepak Lal, Bela Balassa, and Ian Little attributed the retarding of development in Africa, Asia, and Latin America to inefficient and excessive state intervention in the economy and called for a new vision of growth based on a return to free market principles.29 The writings of P. T. (Lord) Bauer were particularly influential in challenging the assumed benefits of foreign aid and state controls. Aid, according to Bauer, was more likely to retard economic development than promote it, since aid largely went to governments and thus diverted resources and attention away from productive, market activities. Contrary to aid advocates, Bauer maintained that aid-supported state spending mostly benefited political rulers and their own personal, financial, and political interests, rather than raising income levels or helping the poor.30 The neoliberal counterrevolution, in turn, underpinned the World Bank’s and the International Monetary Fund’s (IMF) new market-orientated lending policies, including the Structural Adjustment Programs (SAPs) that were conditionally imposed on many Third World states during the international debt crisis of the 1980s. To their credit, the efforts of the self-styled postdevelopment writers to undertake an “archaeology of development” helped open the door to the possibility of putting “the framework inside the frame” and making development the object of historical investigation. At the same time, however, the limitations of postdevelopment approaches need to be recognized. The charge most often made is that they aimed to critique rather than prescribe.39 By jettisoning the idea of development in its entirety, they were unable to offer constructive ways forward. There had of course been substantive criticisms of development before, but what was distinctive about the 1990s was the almost universal rejection—from both the left and the right—of the state as an agent of progress and national liberation and, simultaneously, a renewed interest in social institutions and movements operating independently of and in opposition to the state. This reconfiguration of the debate around rolling back the state and championing new social movements (and “civil society” more generally) undoubtedly represented an important shift, signifying that development as a discourse was no longer framed by the logic of the post-1945 Cold War.40 But in hindsight what is perhaps most striking is the consistent logic operating in many of the studies produced in the late 1980s and 1990s, irrespective of one’s ideological position. In the wake of Ferguson’s innovative study, a number of researchers sought to do just that. For the first time, scholars probed the larger questions surrounding the genesis and meaning of development and examined the wider political and historical context in which it was first conceived as a specific domain of inquiry. Their work represents the initial phase of development historiography, which spanned roughly the decade of the 1990s. Looking back we can discern several broad scholarly trends in the literature as a whole. In the remainder of part 1, I will look in some detail at what I see as the most pronounced of these trends, not only for what they tell us about the initial formulation of development history in the 1990s but also with an eye to the limitations that more recent studies—the subject of part 2 of the essay—have identified and are currently moving to address. Several of the essays in Crush’s book concentrate on tracing the central tropes and metaphors that lie at the heart of these development narratives. Timothy Mitchell examines how Egypt’s economic development since World War II has been invariably framed as a problem of geography versus demography. The Nile Valley is imagined as a narrow strip of fertile land, surrounded by desert and crowded with millions of rapidly multiplying inhabitants. The effect of this imagery, according to Mitchell, is to confine discussions of poverty in this country within the seemingly natural boundaries of overpopulation and land shortage, which in turn shapes the kinds of solutions that follow. Questions of unequal distribution and access to land, for example, are never raised in reports by leading development agencies such as USAID. Instead, programs emphasize the more efficient management of existing resources through greater mechanization, fertilizers, improved seed varieties, and new irrigation methods.61 Michael Watts, in his essay, explores the various strands of modernity that emerged in the eighteenth and nineteenth centuries and later coalesced into the mid-twentieth-century meaning of development: from theories of linear progress and evolution, to the normative efforts to make society and subjects more legible and governable, to classical political economy’s legitimization of the desire for accumulation. In doing so Watts underscores the recurring imagery of “crisis,” which he stresses is not simply a preoccupation of today’s pundits but rather something that has been built into the process from its beginning. Development, Watts contends, is rooted in the paradoxical unity of modernity itself, in the “creative destruction” of capitalism, which, as Karl Marx put it, unleashes a storm of disintegration and renewal in its perpetual transformation of the means of production and exchange.62 From this perspective, crisis must be seen as intrinsic to development itself, the consequence of its restlessness, as well as the precondition for its own inevitable reinvention in a distinctive and yet strangely familiar guise. 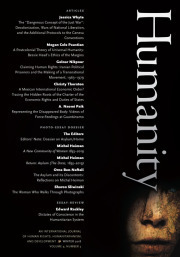 This emphasis on the close linkages among knowledge, the exercise of power, and cultural meaning reflects the widespread influence of postmodern and postcolonial theory on historical scholarship at the time, which both authors acknowledged.68 The influence is particularly strong for Latham, whose analysis turns on the significance of ideas and culture in shaping the objectives of American foreign policy. For Latham, modernization theory was important not simply as a rhetorical tool to justify particular strategic and economic imperatives. Its real power lay in its ideological functions, not in the sense of a conspiracy or reification of consciousness but as a broader worldview that resonated with long-held assumptions and beliefs about American identity and its historical mission in the world.69 In the context of decolonization and the battle for hearts and minds at the height of the Cold War, modernization discourse provided an alternative framework to both the legacy of European colonialism and the revolutionary and radical challenge of communism. Moreover, by presenting America’s path to modernity as a liberal and consensual model to be emulated by others and facilitated by U.S. capital investment, technical assistance, and cultural influence, modernization theorists helped reaffirm the belief in American exceptionalism. They forged, as Latham remarks, “an appealing identity for America as a progressive nation assisting others in their fight against poverty, oppression, and debilitating fatalism.”70 And by the same token, they suggested that the transformation of “traditional” cultural attitudes and forms of authority through exposure to and dissemination of “modern,” U.S. cultural values and practices was the key to Third World development. Modernization theory, Latham argues, provided a perceptual and cognitive template that helped shape the goals and intended outcomes of U.S. policy making in the 1960s, playing a critical role in programs such as the Alliance for Progress in Latin America, the Peace Corps, and the Strategic Hamlet Program in Vietnam. It also constrained the way policy makers viewed social change in the Third World, forcing analyses into an inflexible framework that ignored the need for greater understanding of local conditions and their historical and cultural context. As these programs began to show signs of shortcomings, criticism was directed to questions of corruption, poor coordination, and administration, rather than to the deeper ideological assumptions that lay at the heart of the mission itself. While less concerned with actual government programs, Gilman’s analysis also highlights the important intersection between U.S. foreign relations and American culture, noting that postwar intellectuals “took their ideas about `modernity’ from discourses about American national identity that were taking place at the same time as the formation of the modernization paradigm.”71 The real strength of Gilman’s analysis lies in his careful attention to the way certain ideas were exchanged and elevated to hegemonic status, while others were marginalized, by the personal interactions and collaborations of scholars operating through specific institutional networks with strong ties to private funding organizations and government agencies and departments. At the heart of the book are three case studies of different academic institutional networks: the Harvard Department of Social Relations, the Social Science Research Council’s Committee on Comparative Politics, and the Massachusetts Institute of Technology’s Center for International Studies. Gilman shows how prominent liberal social scientists operating through these institutional channels were able to attract significant funding from private foundations such as Rockefeller, Ford, and Carnegie as well as from the federal government for policy-oriented research, training, and conferences. Through this closely spun web of institutions, academic experts, and public and private funding, ideas about modernization began to crystallize. As important as the work of Latham and Gilman was in opening up modernization theory to historical analysis, their focus, like the poststructuralist approach to the wider history of the idea of development, remained squarely on the discourse rather than how this discourse may have affected the lives of people living in the Third World, or how such theories were put into practice in the form of specific projects or policy initiatives. The emphasis on the discursive side of development has remained an enduring characteristic of many studies of development history right up to the present day. Although the historiography of development has become more cognizant of its fragmentary and multivariant nature, it is still the case that, in one form or another, many writers remain predominantly concerned with development as an intellectual and conceptual project.74 But what is even more pertinent, and what is surveyed in some detail below, is the way this focus on the discursive nature and power of modernization and development came to so thoroughly prescribe both the parameters and limitations of the field during the first phase of development historiography. The work of both authors is ambitious in scope. The subject of Escobar’s study, for example, is nothing less than how development has come to define, and even produce, the Third World. He describes development as not merely a combination of various elements (e.g., the process of capital formation, new cultural attitudes, and new institutions and planning agencies) but, more importantly, a system of relations that “establishes a discursive practice that sets the rules of the game: who can speak, from what points of view, with what authority, and according to what criteria of expertise; it sets the rules that must be followed for this or that problem, theory, or object to emerge and be named, analyzed, and eventually transformed into a policy or a plan.”77 Moreover, as his critics have pointed out, Escobar’s analysis leaves us with a paradigm that is not only all-encompassing and all-consuming but also conspiratorial in design.78 For Escobar, development is implicitly an intentional imposition and assertion of control by Western institutions and policy elites over the peoples of Asia, Africa, and Latin America. For Scott, it is the unquestioning faith in scientific and technical progress and in the ability to rationally order, plan, and control all aspects of human society and the natural world that distinguishes the high modernist’s creed.79 It is a belief that appeals to bureaucratic elites, planners, engineers, and technicians of all political stripes, but especially to those who see their goals as progressive or revolutionary, in the sense of wanting to bring about changes for the betterment or improvement of humanity. And yet it is this ideology in combination with the unleashing of modern state power that was responsible for some of the most tragic episodes of social engineering of the twentieth century, including the collectivization of Soviet agriculture and the ujaama villagization schemes in Tanzania. The hubris of state officials, planners, and experts, Scott suggests, leads them to accept abstract, technical knowledge uncritically and to dismiss local, practical know-how and skills, or me;amtis as he refers to it, as backward and irrelevant. He sees this flagrant disregard of the important role of local knowledge and practice as the primary reason that so many of these schemes have ended in failure, often despite years of careful planning and research. The difficulty with this kind of generalized rendering is its tendency to draw too sharp a distinction between modernity and the modernist faith on the one hand, and local practices and belief systems on the other. It tends to cast them, for heuristic purposes, as two opposing and mutually exclusive forms of knowledge and logic. This binary framework can be seen, for example, in Scott’s critique of modern scientific agriculture, which draws heavily on the work of Richards.82 High modernist agriculture is driven by the logic of simplification and standardization, with crops grown in fixed, pure stands and bred for mechanization and the highest yields, whereas local practices are invariably more complex, based on shifting cultivation and polycropping techniques that give farmers greater flexibility and adaptability and fulfill a diversity of aims. In a similar way, Escobar portrays development as an all-encompassing “knowledge-power regime” fabricated by the West—a vaguely defined and undifferentiated entity—which stands in sharp contrast to Third World communities and grassroots actors, whose local cultures and non-Western belief systems, by their very nature as the other, are defined as countermodernist alternatives. Ironically, given their principled stance against imperializing metanarratives, Escobar and Scott, as well as other poststructuralist and neopopulist writers, have found themselves in the awkward and contradictory position of reverting to metanarratvives of their own. For Escobar, at least, there is a recognition that the problems that development has been designed to address are, after all, real (and not simply social fabrications), and thus “the process of deconstructing and dismantling has to be accompanied by that of constructing new ways of seeing and acting.”83 In his postdevelopment paradigm, the state, along with various intergovernmental and international agencies, has become the adversary, while grassroots social movements, indigenous peoples, and peasant farmers are the would-be protagonists. What is more, the logic of Western modernity appears unyielding and unchanging. Despite the many twists and incarnations of the past sixty years, development for Escobar was and remains in essence a project designed to bring about the conditions for the reproduction of the world capitalist system, and more generally the Westernization of the Third World. Escobar is quite clear on this point: “To be sure, new objects have been included, new modes of operation introduced, and a number of variables modified . . . yet the same set of relations among these elements continues to be established by the discursive practices of the institutions involved. Moreover, seemingly opposed options can easily coexist within the same discursive field . . . In other words, although the discourse has gone through a series of structural changes, the architecture of the discursive formation laid down in the period 1945–1955 has remained unchanged, allowing the discourse to adapt to new conditions.”86 Scott takes a strikingly similar position on the logic of high modernism, which in his narrative is always the same, no matter the context, be it central Europe in the late eighteenth century or Soviet Russia in the 1930s or postcolonial Africa in the 1960s and 1970s. In all of these cases, Scott sees the central problem as one of legibility; in other words, the goal of modern statecraft is to make society legible (and thus easier to manage and control), through processes of rationalization, standardization, and simplification. Despite such criticisms, similar notions of development as a unitary and unvarying enterprise have continued to influence the way many scholars conceptualize the problem. In the introduction to Seeing Like a State, Scott noted that an early draft of his manuscript contained a case study of the Tennessee Valley Authority (TVA), which was ultimately omitted out of concern for the book’s length.93 Perhaps it is fitting, then, to end this section with a more recent analysis in which the TVA does feature prominently, David Ekbladh’s Great American Mission: Modernization and the Construction of an American World Order.94 Ekbladh stresses the importance of analyzing the domestic roots of U.S. modernization, which he sees originating well before the watershed of World War II, as well as placing American versions of development within a broader, global dialogue involving a multiplicity of approaches. In part 2 of this essay I will return to Ekbladh’s proposal of taking a “wider and longer view” of development, but for now my focus is on the heart of his argument: his interpretation of the TVA as an influential, exportable model of development. World War II delayed such actions, but it also inspired new thinking about the building of a liberal international order once it was over. The older discourse of reconstruction was supplanted by a more expansive view of development, one increasingly referred to as “modernization,” to which the TVA as a liberal model of large-scale planning and development was tightly yoked. The transition from world war to Cold War elevated the stakes, motivating the U.S. government to assume a far more active role in what was increasingly referred to as the “underdeveloped areas.” The region of the world where the U.S. modernization mission would be most keenly felt, according to Ekbladh, was Asia: first China, then South Korea, and eventually Vietnam. Asia was the Cold War’s key ideological battleground, where the largest subvention of U.S. economic and technical assistance was expended to contain the specter of communism. In this global struggle, the TVA model was conjured up as a Cold War weapon. Numerous large multipurpose projects, modeled directly on the TVA and often with TVA experts, were built across the Third World, from India to the Middle East to Ghana. But perhaps the most fateful TVA-inspired proposal was one that never materialized. A multilateral plan for the development of the Mekong River, which spanned across several Southeast Asian countries including Vietnam, was originally devised with backing from the UN and the Mekong Committee in the 1950s. It was not, however, until 1965 that the Johnson administration embraced it as a means of dealing with the social and political fallout of the escalation of the war in Vietnam. A U.S.–South Vietnamese Joint Development Group, led by Lilienthal, was set up to create the blueprints for the postwar reconstruction of the country. It envisioned remaking the Mekong Delta region into the breadbasket of Southeast Asia through a proposed Mekong Delta Development Authority (MDDA), modeled directly on the TVA. The MDDA would be responsible for executing large-scale plans for flood control, irrigation, distribution of chemical fertilizers, and the introduction of the new “miracle rice” varieties being developed at the International Rice Research Institute (IRRI) in the Philippines. It would impact and transform the lives of millions of Vietnamese villagers. However, the reality of war, especially in the wake of the 1968 Tet Offensive, derailed the scheme, as safety in the countryside and the mass exodus and resettling of refugees made development work impossible. The project died a slow death, capped by the North Vietnamese victory in 1975, and with it, Ekbladh suggests, so too did America’s faith in the modernization mission begin to crumble. The complicit involvement in the war of Lilienthal, Rostow, USAID, and various university programs and NGOs was a discreditable stain that led many to question the purpose of foreign aid policy and development more generally. Lilienthal’s Development and Resources Corporation was now seen as an agent of a new form of imperialism. The TVA brand, along with other large-scale multipurpose programs, was harshly criticized as socially and environmentally disastrous. The broad consensus in favor of liberal statist modernization, both at home and abroad, that had been forged in the 1930s and 1940s was permanently fractured, ushering in a protracted state of crisis and impasse in development policy and thinking. To be fair, Ekbladh’s book makes several innovative and significant contributions to the field, to which I will return in the second part of this essay. What I have sought to highlight here are the aspects that his approach shares with much of the earlier scholarship of the 1990s. Indeed, the concerns raised by reviewers of The Great American Mission are strikingly reminiscent of those made of what I have billed as the first wave of writing the history of development. One of the consequences of restricting one’s field of vision to the level of discourse, as reviewers of Ekbladh’s book are quick to point out, is a tendency to see development predominantly as a Western (especially American) invention. There is a heavy bias in much of the earlier historical literature toward examining development from a Western perspective, and especially through a U.S.-centered Cold War lens. The concern is largely with the intentions of political and social theorists, prominent statesmen, diplomats, experts, and policy makers and the doctrines they espoused. In other words, most of the early writings on the history of development tend to view the subject from above and from the center. For postdevelopment critics such as Wolfgang Sachs and Arturo Escobar, for example, it is possible to speak of the fabrication of development in the late 1940s as a radical new strategy for dealing with the problems of what were termed the “underdeveloped areas.” A number of factors coalesced at this historical conjuncture, including the founding of the United Nations in 1945, the consolidation of U.S. hegemony in the world economy through the Marshall Plan and the formation of the Bretton Woods system, and the onset of the Cold War and fear of international communism. The key symbolic moment came with President Truman’s unveiling of the Point Four Program in his 1949 inauguration address.103 Truman’s Point Four, according to Gilbert Rist, constitutes the “opening act” that officially launched the “development age,” introducing a new term, “underdevelopment,” to describe the common condition of the inhabitants of Africa, Asia, and Latin America, and in the process, transforming the meaning of development from an intransitive and spontaneously occurring phenomenon into a transitive act that could be willed to happen.104 It was here, postdevelopment writers agree, that the professionalization and institutionalization of development first began, with the establishment of development studies programs, technical assistance missions, international organizations, and ever expanding networks of expertise. I began this exposition with the observation that development studies has long maintained a dialogical conversation with history, but it was only in the wake of the global debt crisis, the demise of the developmentalist state, the end of the Cold War, and above all the rise of neoliberalism that the historicization of development was itself constituted as a field of critical inquiry and examination. A plethora of books and articles in the 1990s—many inspired by poststructuralist analysis and neopopulist sentiments—fixed on the idea of development as a hegemonic discourse of Western design. Important and productive insights were revealed, not the least of which was a greater understanding of the politics and of the intimate relationship between power and knowledge within international efforts for promoting development. But if most analysts in the 1990s viewed development from the perspective of Western (especially American) policymaking elites and saw it in terms of Cold War dynamics, there were some who dissented from this general disposition. Perhaps the most significant opposition came from Africanist historians, who approached the history of development from the vantage point of the political economy of colonialism. In different ways, the scholarship of Michael Cowen and Robert Shenton on the one hand, and Frederick Cooper on the other, made the case for moving past the post-1945 “age of development” consensus by examining both the earlier roots and deeper complexities of development’s history. By way of closing Part I of this extended essay, then, it might be useful to conclude with a comparison of a set of transitional texts written by Cowen and Shenton and Cooper in the mid-1990s. Though they chronologically fall within the first wave of development histories, they anticipate many of the key programmatic themes of more recent literature. Their work, thus, stands as a necessary bridge to cross to reach the post-9/11 phase of development historiography that the sequel to this essay takes up. Cowen and Shenton’s academic partnership began with their shared interest in the history of Fabian colonialism in Africa, which reached its high water mark with the postwar Labour government’s colonial development offensive in response to the 1947 sterling crisis. They came to realize, however, “that the conceptual roots of the intention to develop had to be understood before we could give an account of the historical practice of development in Africa. Development practice in Africa could not be separated from what was purported to be development in Britain itself.”115 The result of their intellectual detour was a series of related articles and a densely written but nevertheless pathbreaking study entitled, simply, Doctrines of Development. Their research situates the genesis and invention of development not in 1949 with President Truman, but in nineteenth-century Western Europe.116 This nineteenth-century conception of development, according to Cowen and Shenton, can be followed through various iterations: from the question of how to govern India under the British Raj, to the national ideal of development in Australia and Canada in the mid-nineteenth century, to the fin-de-siècle imperial ambitions of Joseph Chamberlain as a way of resolving “underdevelopment” in Britain itself, to the negation of Chamberlainite development in Africa (in the form of the failed Fabian colonial offensive of 1947–50) and its replacement in Kenya by the postwar practice of agrarian development as a way of alleviating unemployment caused by surplus population. These crises marked a critical stage in the colonial encounter, setting off a far-reaching process of official introspection and restructuring. Significantly, Cooper argues, both French and British governments confronted the upsurge of strikes and riots in the colonies not as a “labor problem” directly, but rather as a quandary of technical planning. British colonial officials and experts in particular attempted to assert control over the “labor question” by subsuming it under the framework of development and welfare. “Centralisation,” Cooper observes, “was justified in the name of British scientific knowledge and the need for coordination rather than by the opposition of class interests.”121 The decisive breakthrough in the development idea, according to Cooper, came with the passing of the Colonial Development and Welfare Act of 1940. For the first time, officials at the Colonial Office recognized the need for subventions of imperial funding not only to build infrastructure and boost production but also to provide social services and to elevate the standards of living of colonial subjects. For France, the 1940s also brought about a symbolic, though less decisive, break with past policies. In 1946 it created the Fonds d’investissement pour le développement économique et social (FIDES), which provided matching metropolitan funding to colonial states to undertake programs of social and economic development. What Cooper demonstrates most clearly is that development as official doctrine was adopted by Imperial Britain and France prior to President Truman’s embrace of the idea in 1949. What is more, it was taken up with the intent of forestalling popular discontent and thus providing European colonial rule a new lease on life and legitimacy, not for the sake of a Cold War-inspired, anticommunist alternative to imperialism. Much more could be written about this richly complex book, a substantial part of which is taken up with examining various manifestations of development doctrine. Despite their contrarian positioning, however, there is a sense in which Cowen and Shenton’s work remains very much a product of the time in which it was written, and thus open to many of the same criticisms made of the first phase of development historiography. Its frame of reference remains firmly fixed on the metropolitan center and on a European intellectual ambiance. Development for Cowen and Shenton is a quintessentially and unapologetically Eurocentric conception. It is also—by its very nature as a Eurocentric idea—depicted by Cowen and Shenton as something conceived by and for intellectual and political elites. But despite their constricted lens, Cowen and Shenton’s book should nonetheless be credited for anticipating some of the pivotal thematic concerns of more recent historical writing on development. Like Cooper’s more focused investigation of late colonialism in Africa, their thick empirical description and theoretical “genealogy” of the European origins of state-led development practices challenged the widely accepted view at the time that development was the invention of a post-1945 American world order designed primarily with the imperatives of the Cold War in mind. Taken together, the work of Cowen and Shenton and Cooper opened up the possibility of a much more firmly rooted and deeply complex history of development, one that would examine not just the European backdrop but also the colonial antecedents and afterlives of many postwar development policies. It is these themes of a “longer” and “deeper” (as well as a more broadly conceived) history of development that have come to mark the field over the last decade or so. It is these themes that form the subject of the second part of this essay, the bulk of which is devoted to analysing the historiographical moves that followed in the wake of the the dramatic events of September 11, 2001. I would like to thank Nils Gilman for commissioning this essay and assisting with its gestation, and two external reviewers for their comments. Wolfgang Sachs, “Introduction,” in The Development Dictionary: A Guide to Knowledge as Power, ed. Wolfgang Sachs (London: Zed Books, 1992), 1. Frederick Cooper, “Writing the History of Development,” Journal of Modern European History 8, no. 1 (2010): 5–23; Corinna Unger, “Histories of Development and Modernization: Findings, Reflections, Future Research,” in H-Soz-u-Kult, September 12, 2010, accessed June 21, 2015, http://hsozkult.geschichte.hu-berlin.de/forum/2010-12-001; Marc Frey and Sönke Kunkel, “Writing the History of Development: A Review of Recent Literature,” Contemporary European History 20, no. 2 (May 2011): 215–32; Daniel Immerwahr, “Modernization and Development in U.S. Foreign Relations,” Passport: The Society for Historians of American Foreign Relations Review 43, no. 2 (2012): 22–25. Nick Cullather, “Development? It’s History,” Diplomatic History 24, no. 4 (Fall 2000): 462. Colin Leys, Rise and Fall of Development Theory (London: James Murray, 1996), 25. Robert Bates, “Lessons from History, or the Perfidy of English Exceptionalism and the Significance of Historical France,” World Politics 40, no. 4 (July 1988): 499. W.W. Rostow, The Stages of Economic Growth: A Non-Communist Manifesto (Cambridge: Cambridge University Press, 1960). In many ways, Rostow’s entire academic agenda can be viewed as an exercise in applying economic theory to economic history. As an undergraduate, Rostow majored in history at Yale before attending Oxford as a Rhodes Scholar. He wrote his doctoral thesis on British trade fluctuations in the nineteenth century, and he returned to England several times, first as a professor of American history at Oxford, 1946–47, and Cambridge, 1949–50, and then again on a year’s sabbatical to Cambridge in 1958 where he lectured on the process of industrialization. From 1950 until 1961, Rostow was a professor of economic history, as well as a member of the Center for International Studies (CENIS), at the Massachusetts Institute of Technology. See Walt Whitman Rostow, “Development: The Political Economy of the Marshallian Long Period,” in Pioneers in Development, ed. Gerald M. Meier and Dudley Seers (Oxford: Oxford University Press, 1984), 229–61. This is especially true for critics of Rostovian modernization theory such as Paul Baran, Alexander Gerschenkron, Andre Gunder Frank, and Walter Rodney, to name just a few, who criticized the basic assumption that there exists a single, linear pattern of economic growth through which all societies progress and can be classified according to their position on the historical spectrum. See Paul Baran, The Political Economy of Growth (New York: Monthly Review Press, 1957), and The Longer View: Essays toward a Critique of Political Economy (New York: Monthly Review Press, 1969); Alexander Gerschenkron, Economic Backwardness in Historical Perspective: A Book of Essays (Cambridge, Mass. : Harvard University Press, 1962), Andre Gunder Frank, Capitalism and Underdevelopment in Latin America: Historical Studies of Chile and Brazil (New York: Monthly Review Press, 1967); Walter Rodney, How Europe Underdeveloped Africa (London: Bogle-L’Ouverture Publications, 1972). Rob Jenkins, “Where Development Meets History,” Commonwealth & Comparative Politics 44, no. 1 (March 2006): 10–13. M. Kenny and D. Williams, “What Do We Know about Economic Growth? Or, Why Don’t We Know Very Much?,” World Development 29, no. 1 (2001): 1–22; Michael Woolcock, Simon Szreter, and Vijayendra Rao, “How and Why Does History Matter for Development Policy?,” Brooks World Poverty Institute Working Paper 68, University of Manchester, 2009. Daron Acemoglu, Simon Johnson, and James R. Robinson, “The Colonial Origins of Comparative Development: An Empirical Investigation,” American Economic Review 91, no. 5 (December 2001): 1369–401. See, for example, David B. Abernethy, The Dynamics of Global Dominance: European Overseas Empires, 1415–1980 (New Haven, Conn.: Yale University Press, 2000); Niall Ferguson, Colossus: The Rise and Fall of the American Empire (London: Penguin Books, 2005); Gita Subrahmanyam, “Ruling Continuities: Colonial Rule, Social Forces and Path Dependence in British India and Africa,” Commonwealth & Comparative Politics 44, no. 1 (March 2006): 84–117; Matthew Lange, Legacies of Despotism and Development: British Colonialism and State Power (Chicago: University of Chicago Press, 2009). Cullather, “Development? It’s History,” 642. Robert Nisbet, Social Change and History: Aspects of the Western Theory of Development (New York: Oxford University Press, 1969), and History of the Idea of Progress (New York: Basic Books, 1980). See H. W. Arndt, “Development Economics before 1945,” in Development and Planning: Essays in Honor of Paul N. Rosenstein-Rodan, ed. Jagdish Bhagwati and Richard S. Eckaus (London: Allen and Unwin, 1972), 13–29; Arndt, “Economic Development: A Semantic History,” Economic Development and Cultural Change 29, no. 3 (April 1981): 457–66; Arndt, Economic Development: The History of an Idea (Chicago: University of Chicago Press, 1987). Another early historical survey of development economics, written around the same time as Arndt’s and Hirschman’s, was Paul Streeten, “Development Ideas in Historical Perspective,” in Toward a New Strategy for Development, Rothko Chapel Colloquium (New York: Pergamon Press, 1979), 21–52. Albert O. Hirshman, The Passions and the Interests: Political Arguments for Capitalism before Its Triumph (Princeton, N.J.: Princeton University Press, 1977); Hirschman, “The Rise and Decline of Development Economics,” in Albert O. Hirschman, Essays in Trespassing: Economics to Politics and Beyond (Cambridge: Cambridge University Press, 1981), 1–24. Albert O. Hirschman, “A Dissenter’s Confession: `The Strategy of Economic Development’ Revisited,” in Pioneers in Development, ed. Gerald M. Meier and Dudley Seers (New York: Oxford University Press/ IBRD, 1984), 96–98. Another important contribution, published around the same time as Hirschman’s and Arndt’s work, was the World Bank–sponsored retrospective of ten pioneer development economists who wrote many of the central books, articles, and official reports that shaped the field during the formative period of the late 1940s and 1950s. In addition to Hirschman, noted above, the “pioneers” included in the volume are P. T. Bauer, Colin Clark, W. Arthur Lewis, Gunnar Myrdal, Raúl Prebisch, Paul N. Rosenstein-Rodan, Walt Whitman Rostow, H.W. Singer, and Jan Tinbergen. See Gerald M. Meier and Dudley Seers, eds. Pioneers in Development (New York: Oxford University Press, 1984). Robert A. Packenham, Liberal America and the Third World: Political Development Ideas in Foreign Aid and Social Science (Princeton, N.J.: Princeton University Press, 1973); Irene L. Gendzier, Managing Political Change: Social Scientists and the Third World (London: Westview Press, 1985). Packenham, Liberal America and the Third World, 6. Gendzier, Managing Political Change, 49. Email correspondence with Nils Gilman, September 14, 2012. The metaphor, of course, is taken from the nineteenth-century German philosopher G. W. F. Hegel, who famously wrote, “The owl of Minerva begins its flight only with the onset of dusk,” by which he meant that philosophy only comes to understand a historical epoch in hindsight, after it has passed. Eric Helleiner, “From Bretton Woods to Global Finance: A World Turned Upside Down,” in Political Economy and the Changing Global Order, ed. Richard Stubbs and Geoffrey R. D. Underhill (Toronto: McClelland and Stewart, 1994), 163–75. The major exceptions to this trend were the Newly Industrializing Countries (NICs) of Southeast Asia (Singapore, Taiwan, South Korea, and Hong Kong), which together accounted for almost half of all Third World exports of manufactures between 1980 and 1992, and China and India, who also grew faster in the 1980s. See P.W. Preston, Development Theory: An Introduction (Cambridge, Mass. : Blackwell Publishers, 1996), chaps. 13 and 14. Helleiner, “From Bretton Woods to Global Finance,” 170. Michael P. Todaro and Stephen C. Smith, Economic Development, 8th ed. (Boston, Mass. : Addison-Wesley, 2002), 128–32. See, for example, Ian Little, Economic Development: Theories, Policies, and International Relations (New York: Basic Books, 1982); Deepak Lal, The Poverty of Development Economics (Cambridge, Mass. : Harvard University Press, 1985); Polly Hill, Development Economics on Trial: The Anthropological Case for a Prosecution (Cambridge: Cambridge University Press, 1986). P. T. Bauer, Equality, the Third World and Economic Delusion (London: Weidenfeld and Nicolson, 1981), chap. 5. See also P. T. Bauer, Dissent on Development (Cambridge, Mass. : Harvard University Press, 1972); Bauer, Reality and Rhetoric: Studies in the Economics of Development (London: Weidenfeld and Nicolson, 1984). Chistopher Colclough and James Manor, eds., States or Markets? Neo-Liberalism and the Development Policy Debate (Oxford: Clarendon Press, 1991). John Toye, Dilemmas of Development: Reflections on the Counter-Revolution in Development Economics (Oxford: Basil Blackwell, 1987). See, for example, Douglas North, Structure and Change in Economic History (New York: W.W. Norton, 1981); Jon Elster, ed., Rational Choice (Oxford: Blackwell, 1986); Robert Bates, ed., Toward a Political Economy of Development: A Rational Choice Perspective (Berkeley: University of California Press, 1988); Bates, Beyond the Miracle of the Market (Cambridge: Cambridge University Press, 1989); Bates, “Social Dilemmas and Rational Individuals: An Assessment of the New Institutionalism,” in The New Institutional Economics and Third World Development, ed. John Hariss et al. (London: Routledge, 1995); Pranab Bardhan, ed., The Economic Theory of Agrarian Institutions (Oxford: Clarendon Press, 1989). Leys, Rise and Fall of Development Theory, 25–26. See also Gavin Williams, “Modernizing Malthus: The World Bank, Population Control, and the African Environment,” in The Power of Development ed. Jonathan Crush (New York: Routledge, 1995), 170. See, for example, Frans J. Schuurman, ed., Beyond the Impasse: New Directions in Development Theory (London: Zed Books, 1993); Norman Long, “From Paradigm Lost to Paradigm Regained? The Case for an Actor-Oriented Sociology of Development,” in Battlefields of Knowledge: The Interlocking of Theory and Practice in Social Research and Development, ed. Norman and Ann Long (New York: Routledge, 1994), 16–46; M. J. Griesgraber and B. G. Gunter, eds., Development: New Paradigms and Principles for the 21st Century (London: Pluto, 1996); Ronald Munck and Denis O’Hearn, eds., Critical Development Theory: Contributions to a New Paradigm (London: Zed Books, 1999). Leys, Rise and Fall of Development Theory, 23–24. See also Michael Watts, “`A New Deal in Emotions’: Theory and Practice and the Crisis of Development,” in Crush, ed., Power of Development, 58. For some of the most important works of the postdevelopment genre, see Claude Alvares, Science, Development and Violence: The Revolt against Modernity (Oxford: Oxford University Press, 1992); Arturo Escobar, Encountering Development: The Making and Unmaking of the Third World (Princeton, N.J.: Princeton University Press, 1995); Gustavo Esteva and Madhu Suri Prakash, “Beyond Development, What?,” Development in Practice 8, no. 3 (August 1998): 280–96; Ashis Nandy, ed., Science, Hegemony and Violence: A Requiem for Modernity (Oxford: Oxford University Press, 1988); Gilbert Rist, The History of Development: From Western Origins to Global Faith (London: Zed Books, 1997); Sachs, The Development Dictionary; Vandana Shiva, Staying Alive: Women, Ecology and Development (London: Zed Books, 1988). Rajni Kothari, Rethinking Development: In Search of Humane Alternatives (Delhi: Ajanta, 1988); F. Appfel Marglin and S. A. Marglin, eds., Dominating Knowledge: Development, Culture, and Resistance (Oxford: Clarendon Press, 1990); Sachs, The Development Dictionary; Richard Norgaard, Development Betrayed: The End of Progress and a Coevolutionary Revisioning of the Future (London: Routledge 1994); Arturo Escobar, “Imagining a Post-Development Era,” in Crush, ed., Power of Development, 211–27; Majid Rahnema and Victoria Bawtree, Post-Development Reader (London: Zed, 1997). See, for example, Arun Agrawal, “Poststructuralist Approaches to Development: Some Critical Reflections,” Peace & Change 21, no. 4 (October 1996): 464–77. Watts, “`A New Deal in Emotions,'” 47. See Frederick Cooper and Randall Packard, eds., International Development and the Social Sciences (Berkeley: University of California Press, 1997), 3–4; Jan Nederveen Pieterse, “My Paradigm or Yours? Alternative Development, Post-Development, Reflexive Development,” Development and Change 29, no. 2 (April 1998): 343–73; Ray Kiely, “The Last Refuge of the Noble Savage? A Critical Assessment of Post-Development Theory,” European Journal of Development Research 11, no. 1 (June 1999): 30–55; Michael Watts, “Development at the Millennium: Malthus, Marx and the Politics of Alternatives,” Geographische Zeitschrift 88, no. 2 (2000): 67–93. Pieterse, “My Paradigm or Yours?” 364. Watts, “`A New Deal in Emotions,'” 45. Tom Brass, “The Agrarian Myth, the `New’ Populism and the `New Right,” Economic and Political Weekly, January 25–31, 1997; Brass, Peasants, Populism and Postmodernism: The Return of the Agrarian Myth (London: Frank Cass, 2000); Brass, “Scott’s `Zomia,’ or a Populist Post-modern History of Nowhere,” Journal of Contemporary Asia 42, no. 1 (2012): 123–33. My position is similar to that of Stuart Hall, who has described, with penetrating insight, the political history of Britain since the 1970s as the “neoliberal revolution.” “Each crisis since the 1970s,” Hall explains, “has looked different, arising from specific historical circumstances. However, taken together, they seem to share some consistent underlying features. . . . Paradoxically, opposed political regimes all contributed in different ways to expanding this project.” See Stuart Hall, “The Neo-Liberal Revolution,” Soundings 48 (Summer 2011): 9–10. James Ferguson, The Anti-Politics Machine: “Development,” Depoliticization, and Bureaucratic Power in Lesotho (Cambridge: Cambridge University Press, 1990). See Ferguson, The Anti-Politics Machine, xiv–xvi. See, for example, Arturo Escobar, “Discourse and Power in Development: Michel Foucault and the Relevance of his Work to the Third World,” Alternatives 10, no. 3 (1984): 377–400; Escobar, Encountering Development. One of the main differences between Ferguson and Escobar is how they see development arising. For Ferguson, specific ideas about development are generated in practice and their primary goal is to neutralize poverty by depoliticizing it. In contrast, for Escobar, development is first conceived in the minds of policymakers in Washington or London and then later imposed, top down, on the Third World. In Escobar’s view, poverty is a myth. It does not exist prior to this moment but is invented as an object of intervention by the West. Ferguson, The Anti-Politics Machine, 256. In terms of postcolonial theory and postdevelopment studies, some of the most influential works by Foucault include The Archaeology of Knowledge (New York: Routledge, 1972); Discipline and Punish: The Birth of the Prison (New York: Vintage Books, 1977); Power/Knowledge: Selected Interviews and Other Writings, 1972–1977, ed. Colin Gordon, (New York: Pantheon Books, 1980); and “Governmentality,” in The Foucault Effect: Studies in Governmentality, ed. Graham Burchell et al. (Chicago: University of Chicago Press, 1991), 87–104. Edward W. Said, Orientalism (New York: Random House, 1978), 3. See also Edward W. Said, The World, the Text, and the Critic (Cambridge, Mass. : Harvard University Press, 1983); and Said, Culture and Imperialism (New York: Vintage Books, 1993). The term “imaginary of development” is taken from Jonathan Crush. See Crush, “Introduction: Imagining Development,” in Crush, ed., Power of Development, 7. Gilbert Rist, The History of Development: From Western Origins to Global Faith (London: Zed Books, 1997); Crush, ed., Power of Development. The influence of postcolonial studies scholars such as Dipesh Chakrabarty is quite evident here. See Dipesh Chakrabarty, “Postcoloniality and the Artifice of History: Who Speaks for `Indian’ Pasts?,” Representations 37 (Winter 1992): 1–26; Chakrabarty, Provincializing Europe: Postcolonial Thought and Historical Difference (Princeton, N.J.: Princeton University Press, 2000). Provincializing or demythologizing development by exposing it as a Eurocentric discourse is an idea that runs throughout the critical literature of the 1990s. See, for example, Ozay Mehmet, Westernizing the Third World: The Eurocentricity of Economic Development Theories (New York: Routledge, 1995); Vincent Tucker, “The Myth of Development: A Critique of a Eurocentric Discourse,” in Critical Development Theory, 1–26. Rist, The History of Development, 4. In this respect, Rist’s work is not all that different from earlier studies by Nisbet and Arndt, who also surveyed the key ideas and moments in Western thinking about progress and development. Escobar’s approach is more theoretical, and his periodization is far more truncated, but he too conceptualizes development “as a chapter of what can be called an anthropology of modernity, that is, a general investigation of Western modernity as a culturally and historically specific phenomenon.” See Escobar, Encountering Development, 11. Crush, “Introduction: Imagining Development,” in Crush, ed., Power of Development, 5. “One of the principal ways practitioners, bureaucrats, and policy makers articulate and make sense of [development’s] uncertainty is to tell stories or scenarios that simplify the ambiguity . . . broad explanatory narratives that can be operationalized into standard approaches with widespread application.” See Emery Roe, “Development Narratives, or Making the Best of Blueprint Development,” World Development 19, no. 4 (April 1991): 288. Timothy Mitchell, “The Object of Development: America’s Egypt,” in Crush, ed., Power of Development, 130. Watts, “`A New Deal in Emotions,'”46–47. For Marx’s view on capitalist transformation and modernity, see Marshall Berman, All That Is Solid Melts into Air: The Experience of Modernity (New York: Simon and Schuster, 1982). Daniel Immerwahr makes a similar argument, describing the decade or so following Michael Latham’s Modernization as Ideology “as marking the first wave of writing on U.S. development.” See Immerwahr, “Modernization and Development in U.S. Foreign Relations,” 23. Michael Latham’s Modernization as Ideology: American Social Science and “Nation Building” in the Kennedy Era (Chapel Hill: University of North Carolina Press, 2000); Nils Gilman, Mandarins of the Future: Modernization Theory in Cold War America (Baltimore: Johns Hopkins University Press, 2003). Latham, Modernization as Ideology, 5. Gilman, Mandarins of the Future, 3. Latham, Modernization as Ideology, 15–16; Gilman, Mandarins of the Future, 8, 28, 30. Latham, Modernization as Ideology, 13–17. Gilman, Mandarins of the Future, 16. To give just a sampling, we might mention Alberto Arce and Norman Long, who have raised the importance of multiple modernities, countertendencies, and the appropriation, “fragmentation and dispersal of modernity into constantly proliferating modernities.” Suzanne Bergeron has also highlighted the fragmentary nature of development and is one of the few scholars to integrate gender into her analytical framework. Benjamin Zacharia has provided us with a fascinating account of nationalist debates surrounding notions of development in India in the late colonial period. These are all worthwhile investigations that have enriched our understanding of development. Yet all of these authors continue to define and examine development primarily on the level of ideas, concepts, texts, etc. See Alberto Arce and Norman Long, “Reconfiguring Modernity and Development from an Anthropological Perspective,” in Anthropology, Development, Modernities: Exploring Discourse, Counter-Tendencies and Violence, ed. Alberto Arce and Norman Long (London: Routledge, 2000); Suzanne Bergeron, Fragments of Development: Nation, Gender, and the Space of Modernity (Ann Arbor: University of Michigan Press, 2004); Benjamin Zacharia, Developing India: An Intellectual and Social History, c. 1930–50 (Oxford: Oxford University Press, 2005). Most of those whose work falls within the poststructuralist rubric hold similar views to Escobar’s. See, for example, Alvares, Science, Development and Violence; Kothari, Rethinking Development; Sachs, The Development Dictionary; Shiva, Staying Alive. It also requires, according to Scott, a poorly defined or severely constrained civil society that is unable to effectively resist the designs of the state to exert its will. See Scott, Seeing Like a State: How Certain Schemes to Improve the Human Condition Have Failed (New Haven: Yale University Press, 1998), 88–89. Tana Murray Li, for example, argues that the concept of conspiracy is implicit in Escobar’s critique of development. See Tana Murray Li, The Will to Improve: Governmentality, Development, and the Practice of Politics (Durham, N.C.: Duke University Press, 2007), 287, n. 22. Also see Arun Agrawal, “Poststructuralist Approaches to Development: Some Critical Reflections,” Peace and Change 21, no. 4 (October 1996): 464–77. Scott, Seeing Like a State, 4–5, 88–90. Michael Lipton, Why Poor People Stay Poor: Urban Bias in World Development (London: Temple Smith, 1977); Robert Chambers, Rural Development: Putting the Last First (Harlow: Longman, 1983); Paul Richards, Indigenous Agricultural Revolution: Ecology and Food Production in West Africa (London: Hutchinson, 1985). Scott, Seeing Like a State, 262–306. If anything, this theme has become even more pronounced in Scott’s more recent writing. See James C. Scott, The Art of Not Being Governed: An Anarchist History of Southeast Asia (New Haven, Conn.: Yale University Press, 2009). For a scathing critique of the book, see Tom Brass, “Review Article: Scott’s `Zomia,’ or a Populist Post-modern History of Nowhere,” Journal of Contemporary Asia 42, no. 1 (February 2012): 123–33. Agrawal, “Poststructuralist Approaches to Development,” 476. See Escobar, Encountering Development, 42. Mark B. Tauger, “The Moral Agronomy of the Peasant v. the Moral Economy of the Town,” review of James C. Scott’s Seeing Like a State, H-Net Reviews, April 1999. See Brass, “Scott’s `Zomia’ or a Populist Post-modern History of Nowhere,” 126. Agrawal, “Poststructuralist Approaches to Development,” 475. Dane Kennedy, “Imperial History and Post-Colonial Theory,” Journal of Imperial and Commonwealth History 24, no. 3 (September 1996): 353. A similar critique is made by Frederick Cooper and Randall Packard. See Cooper and Packard, “Introduction,” in International Development and the Social Sciences: Essays on the History and Politics of Knowledge, ed. Frederick Cooper and Randall Packard (Berkeley: University of California Press, 1998), 10. Scott, Seeing Like a State, 186–87. Cowen and Shenton, Doctrines of Development, viii–ix. Scott, Seeing Like a State, 6. David Ekbladh, Great American Mission: Modernization and the Construction of an American World Order (Princeton, N.J.: Princeton University Press, 2010). Brad Simpson, review of Ekbladh, The Great American Mission, H-Diplo Roundtable Review 11, no. 35 (2010): 15. Corinna R. Unger, review of Ekbladh, The Great American Mission, H-Diplo Roundtable Review 11, no. 35 (2010): 25. Escobar, Encountering Development, 31–39. Wolfgang Sachs’s position is almost identical to Escobar’s: “We propose to call the age of development that particular historical period which began on January 20, 1949, when Harry S. Truman for the first time declared, in his inauguration speech, the Southern Hemisphere as `underdeveloped areas.’ The label stuck and subsequently provided the cognitive base for both arrogant interventionism from the North and pathetic self-pity in the South.” See Sachs, “Introduction,” in The Development Dictionary, 2. Rist, The History of Development, 72–73. David B. Moore, “Development Discourse as Hegemony: Towards an Ideological History, 1945–1995,” in Debating Development Discourse: Institutional and Popular Perspectives, ed. David B. Moore and Gerald G. Schmitz (London: Macmillan, 1995). Another example is Philip McMichael’s Development and Social Change, in which he writes: “The proclamation by President Truman divided the world discursively between those who were modern and `developed,’ and those who were not. Modern became the standard against which other societies were judged. This was a new way of looking at the world. It assumed that with the end of colonialism the `underdeveloped’ world had only to follow the example of the `modern’ world. This new paradigm produced a strategy for improving the condition of the Third World. It is the premise for what we shall call the development project.” See Philip McMichael, Development and Social Change: A Global Perspective (Thousand Oaks, Cal. : Pine Forge Press, 1996), 24. Moore, “Development Discourse as Hegemony,” 22. Another historian who has written on the deeper origins of American modernization ideas and practices is Michael Adas. See Michael Adas, Machines as the Measure of Men: Science, Technology and Ideologies of Western Dominance (Ithaca, N.Y.: Cornell University Press, 1990), 402–18; Adas, “Modernization Theory and the American Revival of the Scientific and Technological Standards of Social Achievement and Human Worth,” in Staging Growth: Modernization, Development, and the Global Cold War, ed. David C. Engerman et al. (Amherst: University of Massachusetts Press, 2003), 25–46. See Latham, Modernization as Ideology, 1–5, 23–30. Matthew Connelly, “Taking Off the Cold War Lens: Visions of North-South Conflict during the Algerian War of Independence,” American Historical Review 105, no. 3 (June 2000): 739–69. Correspondence with Nils Gilman, September 14, 2012. See Esteva, “Development,” and Escobar, “Planning,” in The Development Dictionary, 6–25; 132–45. The ambivalence toward and neglect of the agency behind discourse is a common weakness of poststructuralist approaches in general and is rooted in Foucault’s conception of power as grid-like ubiquitous and all encompassing. See Kiely, “The Last Refuge of the Noble Savage?,” 36–37. As Escobar writes: “The development economist played a special role in this new universe of discourse. To him (he was almost invariably a male) belonged the expertise that was most avidly sought; it was he who knew what was needed, he who decided on the most efficient way to allocate scarce resources, he who presided over the table at which—as if they were his personal entourage—demographers, educators, urban planners, nutritionists, agricultural experts, and so many other development practitioners sat in order to mend the world . . . The system as a whole rested on the economist’s shoulders.” See Escobar, Encountering Development, 85. Cowen and Shenton, Doctrines of Development, x.
Ibid. See also M.P. Cowen and R.W. Shenton, “The Origin and Course of Fabian Colonialism in Africa,” Journal of Historical Sociology 4, no. 2 (June 1991): 143–74; Cowen and Shenton, “The Invention of Development,” in Crush, ed., Power of Development, 27–43; Cowen and Shenton, “Agrarian Doctrines of Development: Part I,” Journal of Peasant Studies 25, no. 2 (January 1998): 49–76; Cowen and Shenton, “Agrarian Doctrines of Development: Part II,” Journal of Peasant Studies 25, no. 3 (April 1998): 31–62. Frederick Cooper, Decolonization and African Society: The Labor Question in French and British Africa (Cambridge: Cambridge University Press, 1996); Cooper, “Modernizing Bureaucrats, Backward Africans, and the Development Concept,” in International Development and the Social Sciences, ed. Cooper and Packard, 64–92. Cooper and Packard, “Introduction,” in International Development and the Social Sciences, ed. Cooper and Packard, 7. Cowen and Shenton, Doctrines of Development, 7.
Cooper, Decolonization and African Society, chap. 4. Cowen and Shenton, Doctrines of Development, 34–35.